The turning of the year, and all that comes with it, has caused my blogging to be a bit spotty. Not too mention I'm a bit rusty. Skyrim doesn't help either. 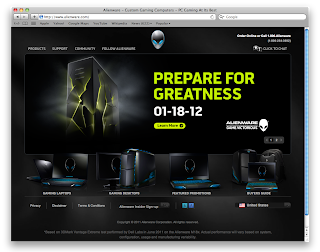 So, the next mini-series of exploration is in the laptop/pc arena. 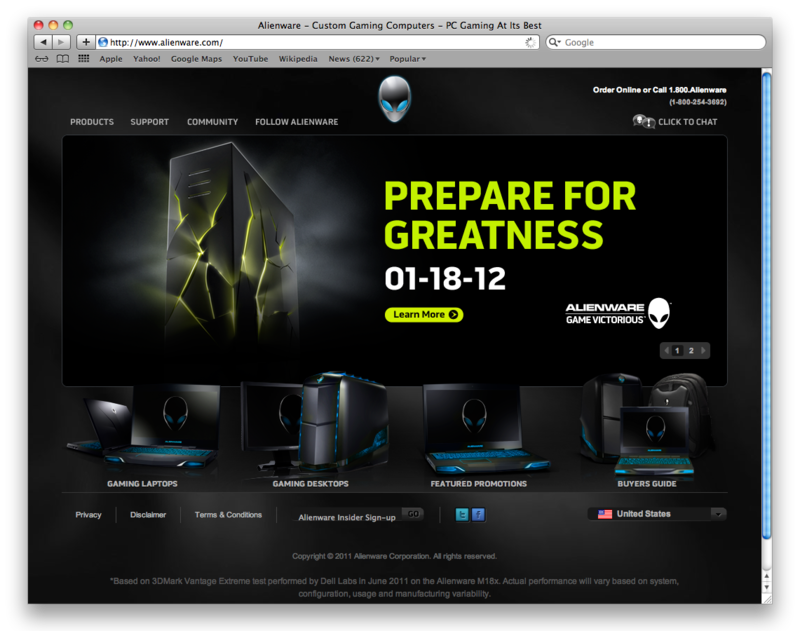 Alienware is still going strong and was bought out by Dell since my first post. 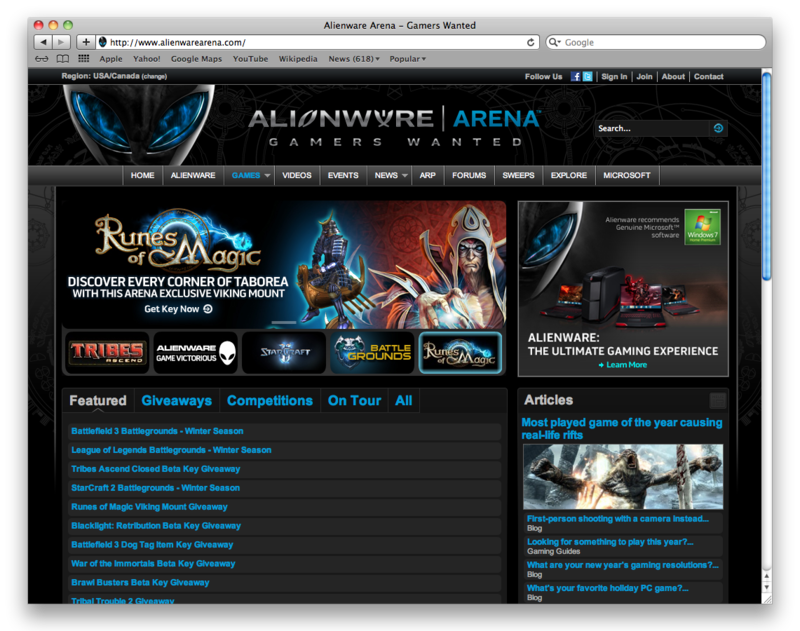 Not much has changed in the basic styling of the site, and not much new in the area of interactive. They have, however, been cultivating an avid community. 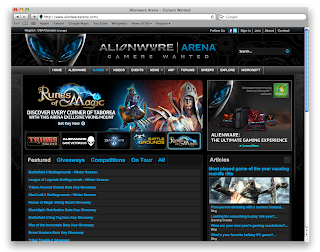 Their "Arena" section promotes PVP PC gaming, blog posts and general news in the PC gaming world. 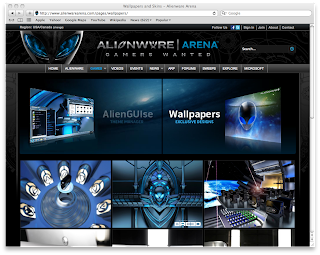 They still have an Alien Network digital channel platform with gaming videos, news and interviews. 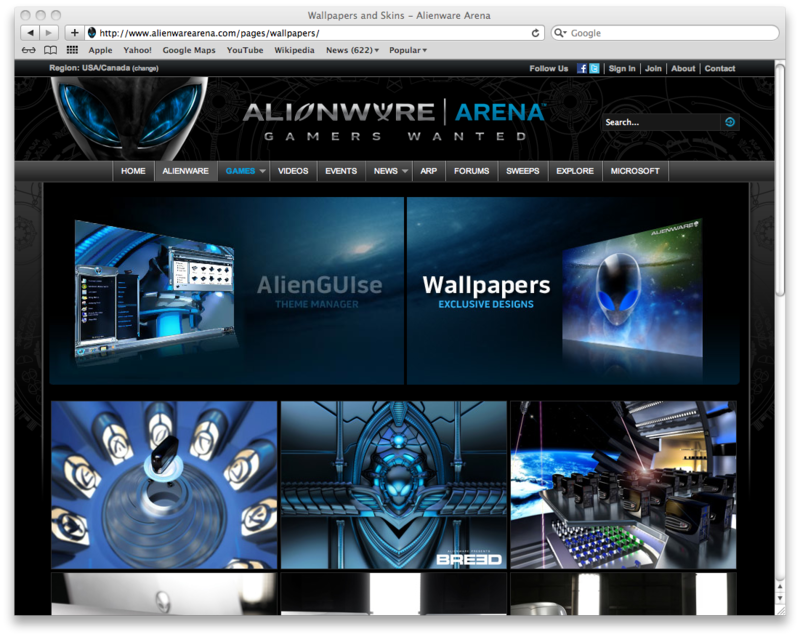 An "Explore" section is really just a place to get fancy wallpapers and themes. I remember when Explore meant something completely different. The product is still very pretty..precious even. preeciousss.